Death or the most expensive medicine in the world. Help me to survive, please! The price for my life is nearly 2 million zlotys! 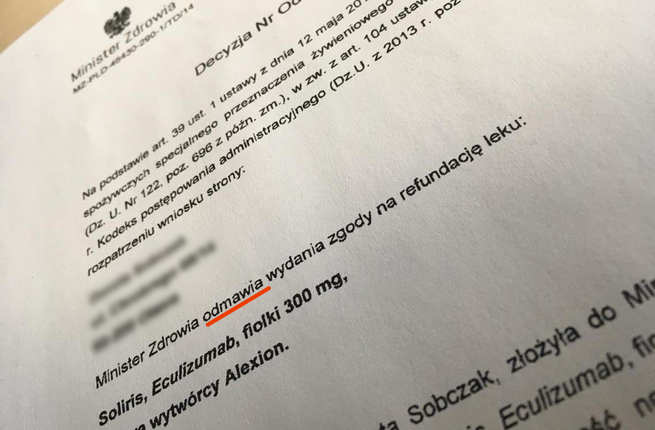 I need to take Soliris - the most expensive medicine in the world, non-reimbursed in Poland, as soon as possible. AHUS, that is, atopical haemolytic-uraemic syndrome has destroyed my kidneys. I should have been after transplantation. Unfortunately, without being treated with Soliris, no transplant will be accepted. The disease has put a gun to my head. How much longer can I take without taking medicine? I'm afraid of thinking of that. I have children, family - I must live. Please, help me! Gene mutation. In my case, it has caused the disease. It appeared in 2009, when during the second delivery I suffered from preeclampsia. Caesarean section has been made immediately. Fortunately, nothing happened to my baby daughter. Who would have thought that my organism would suffer from so huge devastation? Doctors carried out basic examinations and after five days I could return back home with my baby daughter. My condition was getting worse. Finally, it has deteriorated to such an extent that I couldn’t even get out of my bed. I had a baby, but pain has made me unable to take care of her. We had to go back to hospital. Staggering on my feet, I attend a reception room only to hear from a doctor that I supposedly fake a disease because I don’t want to take care of my baby... We immediately went to another hospital, you can't wait in such situations. I went to the Intensive Care in Wrocław. The examinations carried out there shown high hypertension, heavy anaemia, and thrombocytopenia. The first, which the doctors said, was the suspicion of the HUS - haemolytic-uraemic syndrome. The treatment gave no effect. My kidneys did not work! The decision was made on transplantation, after which I went to hospital for 6 months. Every now and then I got more scars after operations - totally these are 6 scars. Again, I was far away from my children. They couldn’t even see me too often because any infection could lead to a tragedy. The only thing which kept me alive at that time were my children’s drawings placed above my hospital bed and recordings sent by my husband. These were not long kilometres which were dividing us, but the disease, which made it impossible for us to meet. I was afraid of complications after the transplantation the most. Soon, a large haematoma appeared around the kidney. It was necessary to cut it. 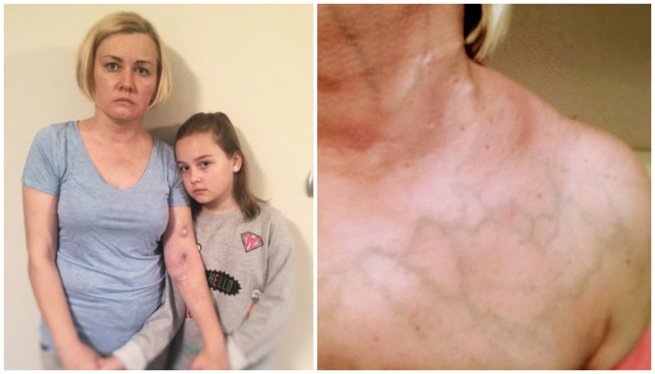 I had 2 kidney biopsies, which proved that the kidney has clotted... The graft had not been accepted! I was looking at my children's cheerful drawings with tears in my eyes. It was already clear that I wouldn’t be back home so soon. Before being qualified to the second graft, we sent my tests results to the Great Britain in order to examine me for the presence of aHUS - atopical haemolytic-uraemic syndrome. The result proved the worst. It turned out that I have suffered from an extremely heavy form of this disease, that without taking Soliris every graft will be rejected. For almost 10 years dialyses have been replacing my kidneys. These long and deep scars on my arms are the marks left after them. 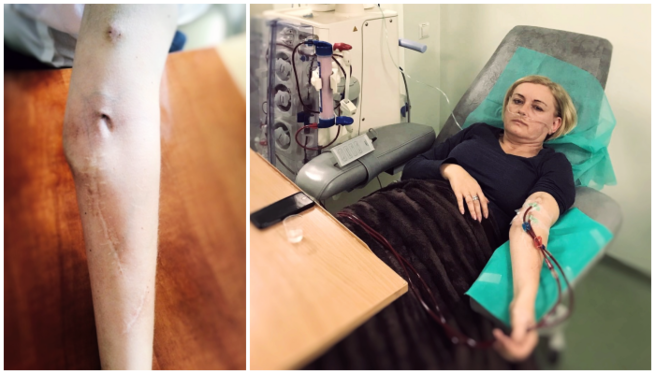 3 times a week, after work I must go to hospital to spend 4 hours on dialysis - the most exhausting and painful hours in my everyday life. However, the worst is that I cannot be always dialysed because each year of dialyses causes greater and greater destruction in my organism. I know that time is running out... Unfortunately, guaranteed placement of the medicine at the list of reimbursed medicines in September has been withheld again. My children ask me what will happen if I don't make it. I’m afraid of answering. Deep inside, I know, but how to tell it to my children? A year-long treatment with Soliris costs almost 2 million zlotys and is my only chance to make the transplant accepted. I cannot die - I can’t do this to my family and relatives. The price for my life is dramatically high. I believe that a miracle will happen. 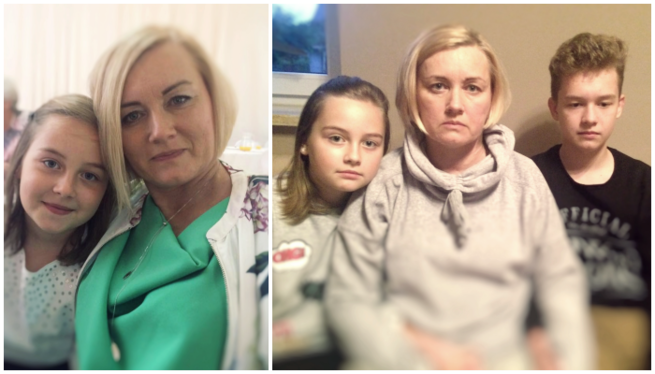 I must believe – a mother cannot give up. I beg you, help me to pay the most important price in my life.